t feels like there’s a bit of a crowd around, but those who want to talk are few. IMS: [said light-heartedly]The God Gang, I believe you are now referring to us as? Good. Now that I know who I’m dealing with - has anyone got anything to say? IMS: We will start with Me, if we may beloved daughter. Oh, there is much transpiring upon your planet and in the consciousness of every single one of you at present. It fills me with Joy to witness this and to aid where I can and whomsoever I can. The problems of your world might have seemed insurmountable to almost all living in body in this, your time-place. But in fact it was ‘predestined’ that these problems be allowed to reach a point -seemingly to many of you, of no return - and then be halted in their tracks, so to speak. And now you begin to see the reversal of all the damage done to everything and everyone, though this may not be apparent for but a short time further. 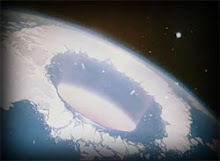 It will be, though, and will become visible for ALL to know and see...with some surprise to you ones who thought an out-and-out destruction was a foregone conclusion for this beloved planet. The turnabout is in progress and in process. There is much to say about the reversal of consciousness, even as many of you ones believe yourselves to be sliding into an abyss of sorts. There is a depressed kind of gloom amongst many currently. SK:The thing is IMS, many people just don’t feel good at the moment and many feel out of kilter, depressed, as you mentioned, and discontent, amongst many other forms of unhappiness. What advice have you here for these ones? IMS: Aah, beloved – the picture I paint is what follows in your next moment. You are not in THAT moment right at THIS moment. But you are on the verge and why I speak of it now and so what I say may be difficult to accept. Yet it is so. Trust only that it is. Know that you are in a personal process of having the dross come up for release. Allow it to be, knowing the heaviness and negativity is but temporary and your connection to your core God Self is stronger than it was before. Even though you may not feel it as such. WE would never have allowed things to fall so low and hard for all planetary people had we not a plan equal in measure and magnitude to those who control your world. Well, in fact, our plan is far superior. Yes, you are in for some quite wonderful surprises. And beloved SK, we do thank you and give you a collective hug for making yourself available and in trust here. We know the journey you have been on intimately and it has been akin to an excerpt from an epic movie. Perhaps epic is entirely the right word for it as due to such experiences your sharing and assisting others may be equally ‘epic’. Nothing can ever replace all you have experienced - which applies to every single one of you who will be serving the greater good in the time to come. This is each of your ‘hidden treasures’ in a manner of speaking. And the results of this are that which you will draw on constantly in your quest to help mankind. I will move out of the spotlight now and hand the floor over to another, though you and I could continue on together. That will wait for another time, however. IMS : ....[personal stuff for SK] and you are our treasure and we ask that you see yourself as such; a sparkling piece of treasure that shines the Light of God. Know this and shine the Light you have been blessed with. SK: Will do, beloved IMS. Looking forward to chatting again soon. Father God : Ah indeed - it is the one you refer to as FG. You have called and called and here I AM. It is a delight to be with you, child. You are moving through your initiations now with a new level of ...[SK:I begin protesting that this is waaay too personal to be publicly broadcast, but FG is having none of it...effectively telling me to ‘get over myself’...so I stop] ease and grace that marks each new day of opportunity you enter. Great things are in store now, as you’ve just heard. This change of plan, as you will see, will work out to an unsurpassed level of perfection as is the Truth of Source God’s Way [SK: We’ve discussed ‘titles’ and decide to refer to Source as ‘Source God’]. WE are in a flurry of activity that you ones will be able to benefit even more from the results. SK: Why haven’t I been able to stop dancing lately—I am filled with a constant ebbing and flowing of joy; the need to express and so I do it in and through dance [SK: though the standing joke is I’m no dancer] for want of a better form of expression. How best can I channel this energy and where? FG: Aah indeed. You have, have you not, really answered your own question here. It IS all about expressing exactly that which has been given to you to do; that you may touch the hearts of others. Is it not a great and gracious gift that you have been blessed with? Is it not something which urges you to share with all others? For you are not and have never been one to hold any gifts you are bestowed with close to your chest...it is yours to share and so you will. Mankind needs what you have and you will not stint on holding back that which you have and which can benefit others. Shall we get back to business? FG: We of the realms of the ones you call the God Gang have been fine-tuning our affairs that when the tides can be visibly seen to be turning/to have turned, all will know who was responsible for what. Yes, the group of people responsible for restricting and obstructing mankind’s progress will be made very public – and by their own hand, largely. Whichever way this emerges, it will come to pass that all will finally know they have been but pawns on a chess table. In this moment will chaos begin to descend across the globe. 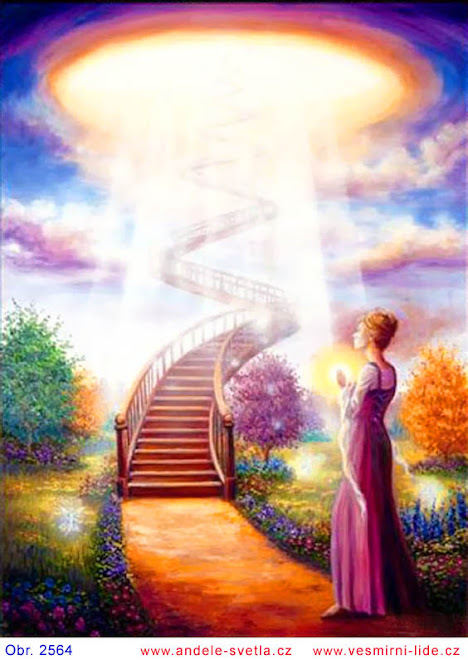 But in this moment also will the force of the Light become so visibly powerful that freedom of the heavenly realms and of and in God, versus humankind’s enslavement will be as plain as daylight to the planetary people. It comes to a head in this way. This is all I wish to express for now. There will be more to follow. You are all deeply loved and honoured, my beloved children. ...Where WE will proceed with the plan - in the next moment of your time. This plan has been long in the making, as were the other possibilities. This one is to serve every being on the planet at exactly the place he/she is at on their respective journey in Eternity, back to My loving embrace. You have been preparing for the role you agreed upon with Me for eons. It is now time to rise to the challenge of that which you promised. That which ALL of you have promised; to fulfill upon contracts signed and to do my Will in your entirety. This means standing up and going forth in numbers now. This means paying no heed to what others think and feel about you and your thoughts and feelings. This means no longer hiding yourselves behind bushels to cover yourselves in what you consider your need for ‘protection’. You will, each of you, have exactly the degree and extent of protection your respective roles require and there will be no fear, because of it. What this essentially means is stepping out now with the gifts that are uniquely yours that you may be the blessing to the world that you agreed upon. Let us waste not a second longer in daydreaming, wishing and endless visualisations of what we wish to know and see the world as. Know with a new assurance now that what we wish of the world and how to make it thusly is also KNOWING nothing and no one shall stand in your way. Though there is yet the fear of the unknown that creates the reticence within you. This must go, beloved children. It is nothing that helps this Grand Plan for your most beloved and beleaguered planet, but rather hinders all of you and Her. Let us do away completely now with reticence. It is, after all, not something of my Creation, for it is born of fear. Stand tall now, as the beautiful Beings I made you, that you might Shine and be the brightness that dazzles the eyes of the many, so much so that the scales might fall from their own eyes. The Grace of God is ever with you, upon you, within you and you have ever been My great unsung heroines and heroes. Though I have always sung to you and about you. Now it will be the world’s turn to do the same. And you will, in turn, do the dance of the Beloved, within your very own Selves. Serving All as you (metaphorically) swirl and twirl, Serving Me. Time should not be squandered for there is much to do in a short time in My name. I take of my leave.